Post 4, Other ways to earn miles besides flying | No Mas Coach! At this point you should have chosen your program, have a basic understanding of how it works, and also how to earn on your airline and your partner airlines. But what if you’re like 95% of Americans who only get 1 or 2 weeks vacation a year (and knowing you, you probably don’t take it all – SHAME!!!) and you want to earn more miles without actually taking the time to get on an airplane? Never fear, because every airline program has ways to earn from the comfort of your home. We’ll go over 5 of the top ways to earn miles: Shopping Portals, Dining Programs, Rental Cars and Hotels, Credit Cards, and Bonus Offers. So, why not earn some extra miles while you’re at it? Enter the shopping portal. The premise is quite simple. Instead of going directly to the website of the store you’d like to buy from, first go to a “portal” and it re-directs you to the store’s website. Since you’ve clicked through your shopping portal first, you’ll earn a certain number of miles for that purchase, usually 1-3x, but sometimes going upwards of 15-20x the purchase. For example. You need a new suit jacket and you want to shop at Macy’s. You know the jacket that you want and you can see on Macy’s website for $199.99. If you go to Macy’s website to make the purchase you’ll earn 200 miles from your credit card spending, BUT, if you go through Alaska Airline’s Mileage Plan shopping portal FIRST, you’ll earn 4x the miles (their current promotion). Total = 1000 miles for the suit jacket. Not a bad deal! One of the sites that I use for figuring out who has the best deals for shopping portals is www.EvReward.com, it will list the airline’s current offer for their portal. Also, if you subscribe to the portal’s weekly email, you’ll get the bonus offers sent to you. 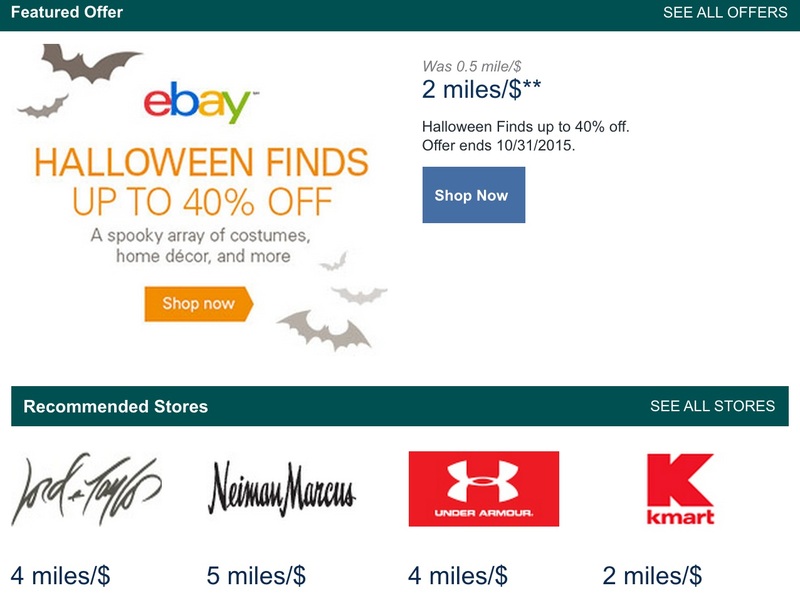 Right now at time of writing there are promotions for eBay at 2x and Neiman Marcus at 5x! Don’t miss out on a chance to be earning thousand’s of miles for just shopping like you do every day! Who doesn’t love trying new restaurants in town? Or even better yet, out of town while traveling! 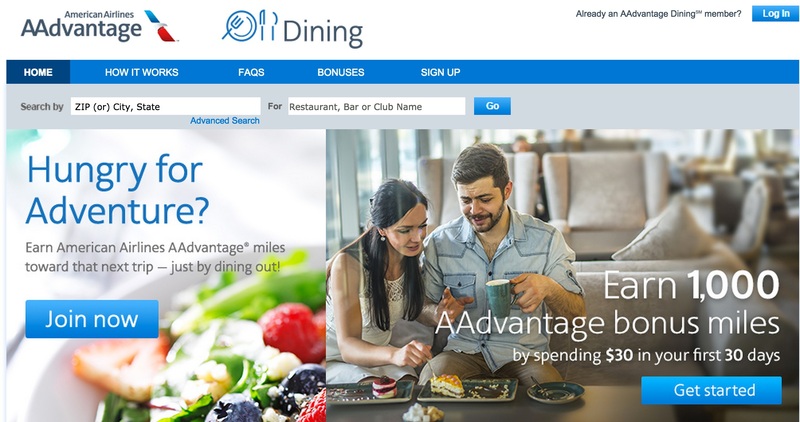 Around the USA and in some cases, internationally, restaurants have made a decision to join airline dining programs in the hope that it will get you to come to their establishments. Most if not all airlines participate in a program to allow you to earn miles for simply picking up the tab. And when you do pay, the meal, drinks, tip, and tax is all included in the miles that you earn. Let’s take a look at all the restaurants that are near our place in Seattle. As you can see that in under 2 miles of our house, there are dozens of options available. We’ve actually tried some of the places and it’s not a bad selection. Options range from Mexican to Italian to southern BBQ joints. No action is needed on your part other than adding your credit card number into the system. Usually a week to ten days after you’ve paid the bill, the miles will be added to your account. Simple, and easy, right? Sure, they may only be 10 miles here, 50 miles there, but if you are at 99,896 miles and need to get to 100,000 miles for a free ticket, those 104 miles sure would have come in handy if you would have added your credit card to the system. One of our favorite activities to do while exploring a new country is get a rental car and go see the sights around and outside of the city. Its usually very inexpensive, and driving in foreign countries really isn’t that scary! (Including if you’ve got to drive on the other side of the road, trust me, you’ll get used to it very quickly… you don’t have much of a choice). 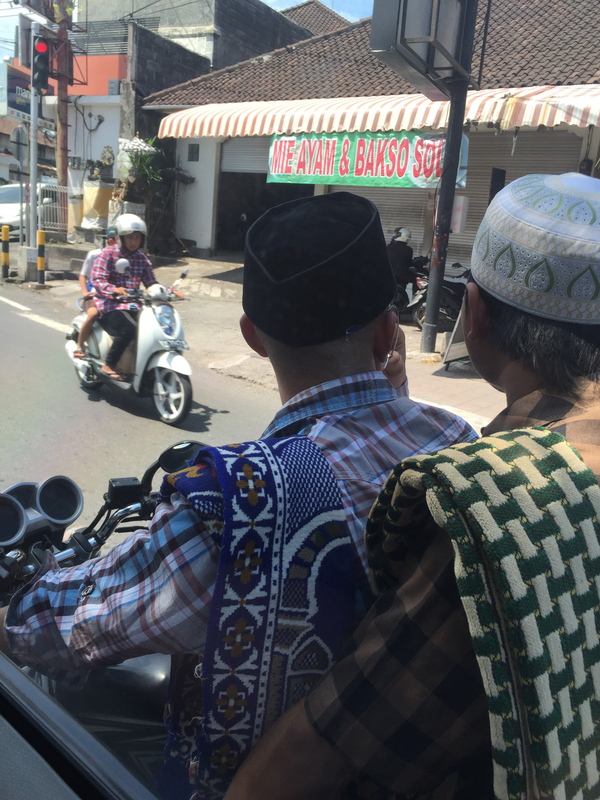 The exceptions to this in our travels include Naples Italy where we ended up driving on the train tracks along with a dozen other cars, and Indonesia, where we were always heading into oncoming traffic! Why are they so close to our door? And why is someone else going in the wrong direction? Rental car companies are constantly offering promotions for upwards of 500-1000 miles a day for a qualifying rental. Recently American Airlines started offering 500 miles per day and an extra 500 miles if you’re an elite member. 1000 miles just for adding your frequent flier number on to the reservation is a no brainer. Other companies offer lower amounts, varying from 50 miles a day to 100, but again, just like in the dining programs, every mile counts. Hotels offer their own brand of loyalty points and if you choose to go down that route, you may. We hold elite status with Starwood, IHG, Marriott, and Hilton, and enjoy earning points on those hotels to accumulate free stays. However, for the infrequent traveller, you can just as easily earn miles on those stays. Instead of providing your frequent hotel guest number, simply provide your frequent flyer number at checkin and you’ll be able to earn more miles for your stay, ranging from a per-stay basis to a per-night basis. 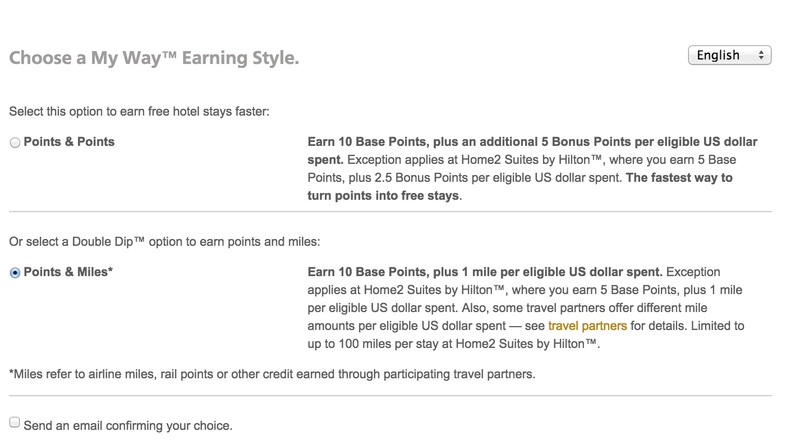 Hilton Hotels program, HHonors, is unique in the fact that they will allow you to “double dip” and earn both Hilton points AND airline miles on your hotel stays. For this reason alone I’ve accumulated over 40,000 Aeromexico miles without ever setting foot on one of their planes! Don’t miss out on this easy way to earn airline miles for your favorite hotel chains as well. Ahh, the credit card. One of the only products I know on the planet that causes people so much joy and pain at the same time. If you’re like most Americans, you got your first credit card on a college campus because they also offered you a free water bottle or t-shirt. I just found one of the t-shirts that I got with my signup offer back in 1998 in a box of clothes at my mom’s house! If you managed to make it through college unscathed and have good credit, then credit cards can be a fantastic vehicle to earn tens of thousands if not MILLIONS of airline miles and points towards your free flights. We’ll talk about these in post 5, but just keep in mind that for Ben and I, the credit card still is and will always be the #1 easy way to earn and accumulate miles. I suppose this could also be called Miscellaneous, because there are so many bonus offers out there from airlines and other partners that its hard to clump it all into one category. Need a hair transplant? Bosley Hair Centers once offered 25,000 Delta Skymiles for a simple consultation. Need laser eye surgery? I got 25,000 miles for my Lasik surgery (apart from actually wanting and needing the procedure) so for me, a win-win! Always wanted to drive a Cadillac? Me neither, but for 7,500 American Airlines miles, I’ll sure as heck go test drive one! Have an old stock portfolio sitting around and you want to earn some airlines miles? Fidelity is offering up to 50,000 miles depending on the amount of money you bring over to them! Like wine? Me too! Sign up for a wine club and earn upwards of 5,000 miles for a shipment of wine. Expensive wine, sure, but at least you can drink your way to a free flight. How about solar panels for your house? Currently, I’m in contact with a company that does solar panel installations to earn somewhere in the neighborhood of 5,000 miles for a simple consultation. It really is that simple. There are literally dozens and dozens of these offers every year. Ben and I must have earned at least 100,000 miles from just these types of offers, and it’s simply a matter of subscribing to your program’s emails to find out more information. Just because you’re not flying every other weekend doesn’t mean that you can’t earn tens of thousands of frequent flyer miles. Accumulating enough miles just by flying alone is a lot of work, but with some easy steps you can eat, drink, and shop your way to the dream vacation you’ve always wanted. Have you earned any miles or points by some odd or strange method? Please let us know in the comment section below!